Good Monday morning! Thanks for stopping by. 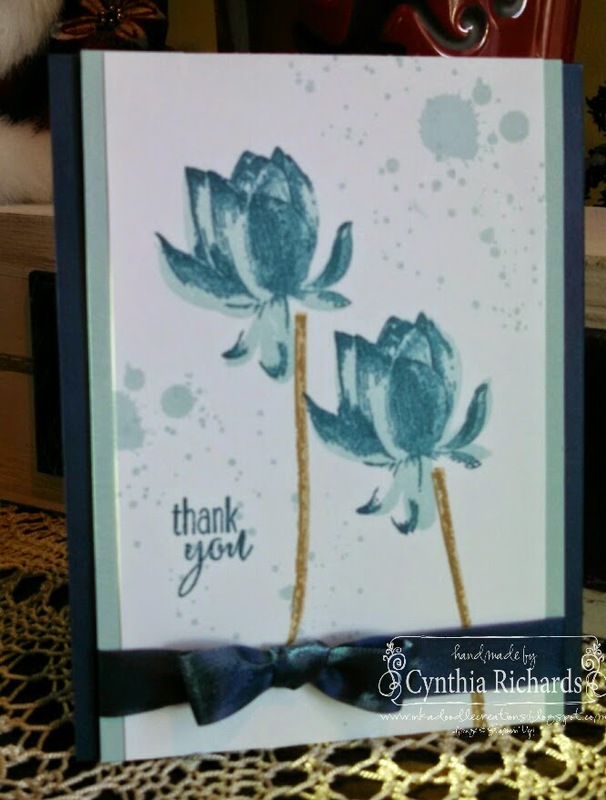 Today I am over at Stylin' Stampin' INKspiration and its time for our first color challenge for 2015, how exciting! Come on over, get the details and join us in our challenge. With todays card I am showcasing one of the new stamp sets you can earn for FREE from the 2015 Sale-A-Bration catalog that starts tomorrow! You can earn it FREE with a $50 order from any current catalog. Its one of my favorite sets I believe. Its a three step stamping set. Even by using the same color, it layers perfectly to look like you've used several different shades. I finished off my card with a tied bow in night of navy seam binding ribbon. Leave some "love" and don't forget to head over to our main blog site and see what the other design team members have created. 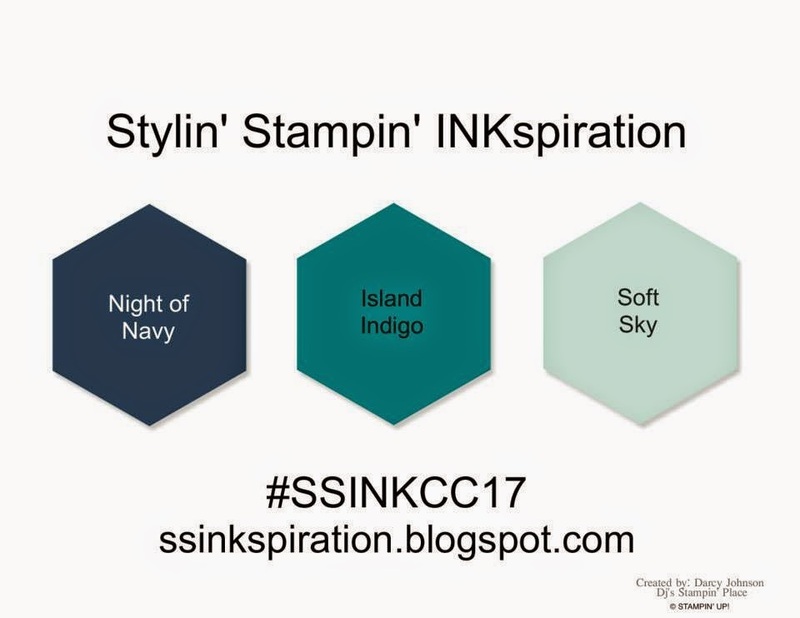 I hope to have INKspired you to come join in our color challenge! So pretty! Now I need to order that Night of Navy Seam Binding Ribbon...it's such an elegant touch!